For most people the Seven Years War brings forth an image of old 'Fritz' on a horse with Prussian grenadiers standing behind him. The fact is, the Seven Years War could be the first 'World War'. Being fought on five of the seven continents, the war has a lot more history than just what happened in Bohemia and Silesia. This book tells the story of the French attempt to crush a much smaller army of British and allied German states. The allied army was tasked to defend Hanover and keep the French from attacking Frederick the Great from the west. The British involvement came about when George, the elector of Hanover, was made the British king in 1714. George the 1st of England and his son, George the 2nd, took their birth rite as electors of Hanover as seriously as they took being kings of England. The Seven Years War started in 1754, with Frederick the Great's invasion of Saxony. The previous few years had seen a complete shift in European politics. France and their arch enemy Austria had made peace and actually became allies (in the War of Austrian Succession 1740-1748 France was actually allied with Frederick). 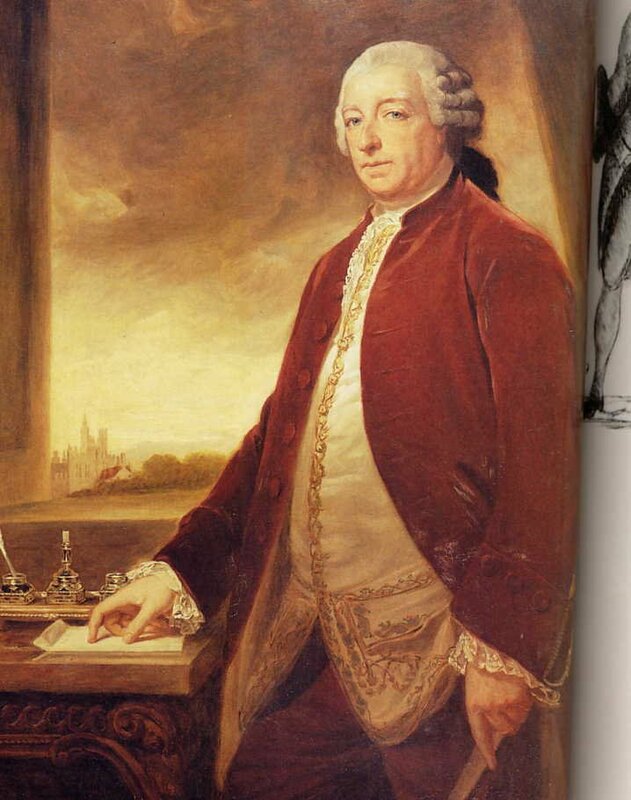 George the 2nd had originally made his favorite son the Duke of Cumberland (butcher) his general-in-chief in Hanover. 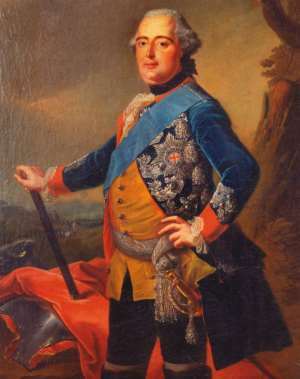 The portly Duke was trundled off the continent after the battle of Hastenbeck and signing the disastrous 'Convention of Klosterzeven', ceding half of Hanover to the French and leaving Frederick in the lurch. George the 2nd found a new favorite son and quickly repudiated the convention. The Duke of Brunswick, Ferdinand, was put in charge of a newly raised polyglot army. He had been successful in the last two years in blunting the French army's methodical forward movements. The campaign season of 1759 however, did not bode well, and it looked like his army was about to be engulfed by the French tide. This book is about the battle of Minden, 'The Impossible victory' of Ferdinand, but also about a good deal more. The author goes into the Seven Years War from the beginning in northwest Germany. You are shown the monetary and political constraints that Ferdinand had to deal with. The allied army had a large English contingent, and some of the more famous parts of the campaign and battle are gone into deeply from the English point of view. The French Marshal Contades advanced from a good defensive position to offer battle to the small allied army. 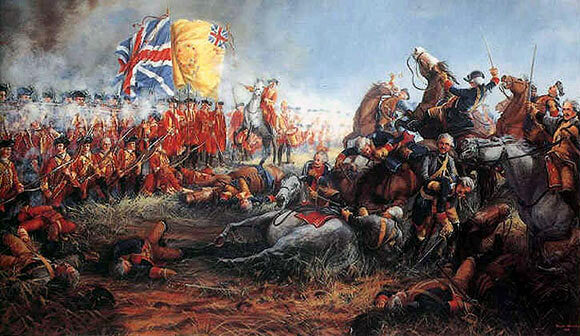 In a confusion of orders, six English and two Hanoverian infantry regiments attacked three lines of French cavalry. The 'square' having not yet been developed, most of the onlookers assumed the worst. The eight regiments kept cohesion and with marvelous fire control forced the French cavalry from the field. The rest of the allied army then went forward and somewhat completed the victory. I say somewhat because for various reasons Lord George Sackville, commander of the English contingent, did not charge the retreating French with his cavalry. Some even thought it was through cowardice. This was not really accurate at all, and after the battle Sackville requested a court martial. The book details Ferdinand's actual orders and the confusion and physical constraints that Sackville actually had to contend with. Sackville was given his court martial, which found him guilty of disobeying orders, but in reality all of the testimony really acquitted him in the public eye. He shows up in American history under another title: Lord George Germain, one of the men responsible for the loss of the 'colonies'. The first part of the book is 115 pages long, but it is followed by no less that eight appendixes that are another 80 pages. The following list of the appendixes will show the depths that the author has gone to. There are also eight pages of black and white illustrations, along with copious references and notes. 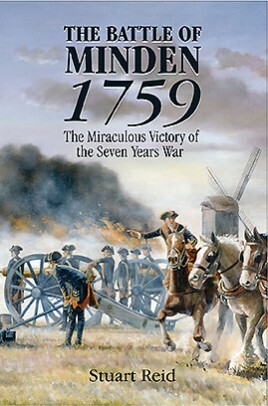 Minden was one of the British victories in the 'Annus Mirabilis (year of victories) of 1759. Thanks to the author and publisher for bringing to light a non-Frederickian history of the Seven years War. Excellent! I called it the First World War in my play through of Rise of Prussia Gold. Great review! A very useful model for me as well, thanks!